Back in February, an eagle-eyed Westworld fan decoded a binary sequence hidden in the season 2 trailer which signposted an unlisted website called Delos Destinations, an apparently consumer-facing brochure for Westworld offering reservations. The site appeared to disclose that there are in fact six parks, a big jump from the three expected due to their being three in the original 1973 film. This is now no longer rumour and extrapolation, however, as the season 2 opening episode confirmed it. There we have it: at least six parks. We already knew a second park, an apparently Japanese-themed one filled with samurai, exists, and this little scene helps us narrow down the theme of a third. Bengal tigers are found in India, Bangladesh, Nepal and Bhutan, typically in tropical forests or alluvial grasslands, throwing the doors open to speculation as to when the park might be set and in which of these countries. 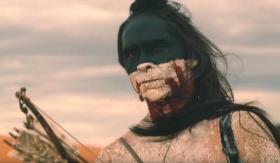 Westworld season 2 episode 1, ‘Journey into Night’, which you can read our review of here, also saw Bernard hint at a Facebook-Camibrdge Analytica scandal within the park. The show airs on HBO and through Sky Atlantic and NOW TV.